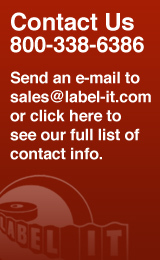 Label It provides the latest technology in thermal label printing equipment, labels and design software. Our primary equipment line is the Datamax printer series which offers solutions for most industrial and retail barcoding and labeling applications. The label design software we feature is Labelview by Teklynx. 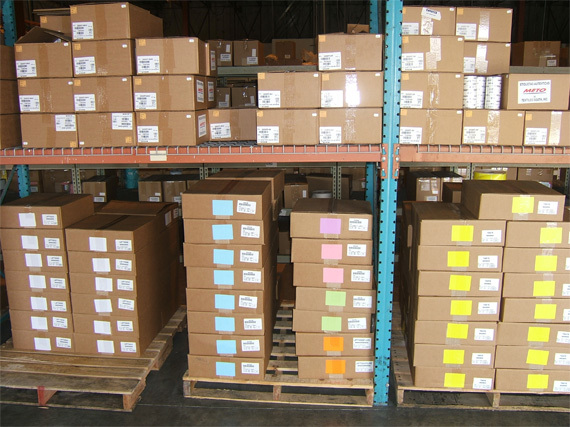 We carry an extensive inventory of thermal transfer and direct thermal labels, tags and ribbons. Our stock includes the most widely used sizes of labels and ribbons for all thermal printers including Sato, TEC, Zebra and Monarch. Most orders are shipped within 24 hours. We also can provide custom made thermal labels and tags with pre-printed color logos, multi part configurations and special adhesives. If you don’t have a thermal printer and you need barcode or package ID labels in a hurry, send us your requirements and we’ll print them for you. Home About Us Our Products Contact Us Textiles South Order Now!